Ford Motor Company has reached a significant milestone with its Quick Lane Tire & Auto Center business, opening the 700th US store in Texas. Ford's Quick Lane vehicle maintenance business remains one of the fastest-growing service brands in the industry. Lane offers routine vehicle maintenance such as oil and filter changes, light repair services including brake repair, and tire replacements on all vehicle makes and models. 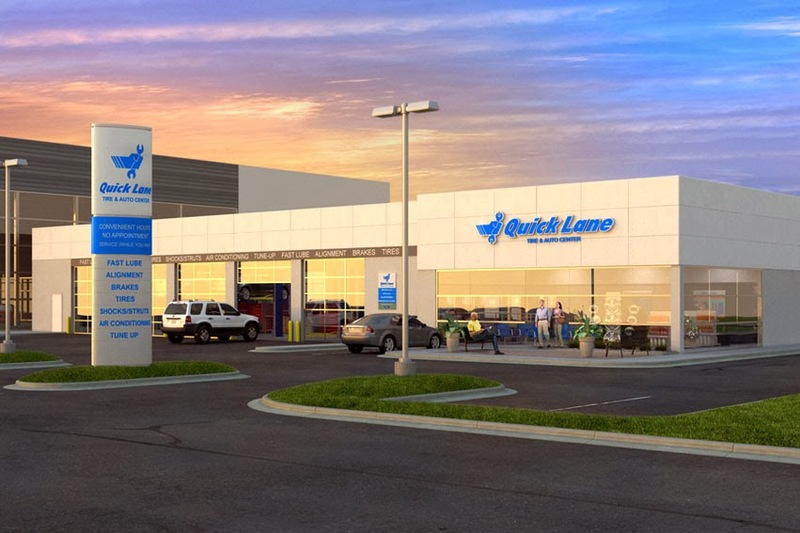 "With our new Quick Lane Tire & Auto Center, our customers don't have to sacrifice speed over quality - we can provide both," said Chaz Gilmore, GM and Partner of Ford's 700th Quick Lane store located at Grapevine Ford Lincoln in Grapevine, Texas. "We have a separate service facility with a dedicated staff that can provide timely and convenient services for all vehicle maintenance and light repairs, while providing the peace of mind of factory-trained technicians and quality parts." "Quick Lane works for everyone - the customer, the dealer and the community," said Frederiek Toney, Vice-President, Ford Motor Company and President, Ford Customer Service. "For the customer, it's easy in, easy out, and fast, high-quality service all around. For the dealer, it provides a steady stream of new customers from all makes, a significant portion of who sometimes transition to Ford vehicle ownership. For the community, it's another source of jobs, and represents early career experience for young technicians who develop essential trade skills before moving on to bigger jobs in the dealership repair shop."